It’s been more than six years since the Deepwater Horizon oil spill, and the science has now unequivocally confirmed that the disaster impacted wildlife and habitats at an unprecedented scale. From coastal wetlands, to deep offshore habitats of the open Gulf, wildlife and their habitats continue to struggle in the wake of the spill. Now that BP and the other oil companies have settled with the states and the federal government, there is roughly $16 billion dollars available for restoration. But even this enormous sum may not be enough money to offset the long-term degradation that has plagued the Gulf. Therefore, it is critical that every dollar fund projects crucial to the health of the region. The National Wildlife Federation released a report in December 2014 that recommended a state-by-state list of projects to begin a robust investment by the Gulf Coast Ecosystem Restoration Council in the health and productivity of Gulf estuaries. In our view, these projects — or at least, these types of projects — would provide a good start for Gulf-wide restoration and set the stage for future project investments across funding streams. Here are a few examples of how smart restoration efforts can improve the health of the Gulf. In the past, 90 percent of the oysters harvested in the state of Florida come from Apalachicola Bay. But today, the oyster harvest in Apalachicola Bay is less than half normal levels, largely due to insufficient freshwater inflows reaching the bay due to mismanagement of upstream dams, upstream water use, and recent drought. This project, funded through the National Fish & Wildlife Foundation’s Gulf Environmental Benefit Fund, will enhance approximately 18 acres of oyster reefs and improve the management of approximately 3,000 additional acres to improve oyster habitat. This project will also inform the design and management of future oyster reef restoration projects by providing a better understanding of what the oyster reefs in the bay need to survive. Louisiana’s Maurepas Swamp is one of the largest areas of forested wetlands along the Gulf Coast. Levees constructed along the Mississippi River and the closure of a creek known as Bayou Manchac have isolated the area from spring floods and the fresh water, nutrients and sediments they bring. This isolation — and the resulting rising salinity levels — have left the swamp in a state of rapid decline. This planning project, funded under the RESTORE Act, includes the engineering and design for the restoration and enhancement of the Maurepas Swamp through the reintroduction of seasonal Mississippi River inflow. The Golden Triangle, also known as “the funnel”, is a wetland area at the confluence of two manmade navigation channels. The triangle, partly located in New Orleans, was badly damaged by saltwater intrusion and erosion following the construction of the Mississippi River Gulf Outlet in the 1960s. During Hurricane Katrina, there was a funnel effect of storm surge in this area due to the two channels and catastrophic flooding occurred in nearby communities. The Army Corps built a $1.2 billion surge barrier across the funnel in 2009. Funded under the RESTORE Act, this project completes the planning activities to re-build approximately 600 acres of wetlands within the Golden Triangle Marsh system. These wetlands will help protect vulnerable communities from any future storm surges. Historically, South Texas’ Bahia Grande was important habitat for a wide variety of fish and wildlife. However, the natural tidal flow between Bahia Grande and the Laguna Madre was cut off by construction projects starting in the 1930s. This project, funded under the RESTORE Act, will complete planning and design on an effort to restore the flow of fresh water to La Laguna Larga and to reduce salinity levels on roughly 600 acres of wetlands. Turkey Creek is a primary tributary to the Back Bay of Biloxi. This project, funded through the Gulf Environmental Benefit Fund, will protect lands to enhance water quality in the 30,000-acre watershed. Restoration efforts will include wetlands restoration, the creation of water quality buffers along the stream, invasive species removal, and stabilizing the stream’s banks. These efforts will improve water quality and will enhance the natural connections between Turkey Creek, Bernard Bayou and the Back Bay of Biloxi, benefiting wildlife along the Mississippi Coast. The Restore Council recently released a draft updated Comprehensive Plan. This plan paves the road for future restoration investments made by the Council, which will allocate millions more towards restoration in key watersheds around the Gulf. Take ActionMake sure this revised plan is as strong as possible! 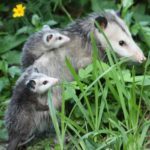 Restore the Gulf for Wildlife!